Be a spectator at the Lumberjack Challenge, where Jill will test her skills through a series of entertaining, often hilarious, and sometimes dangerous challenges to become the first ever female lumberjack. 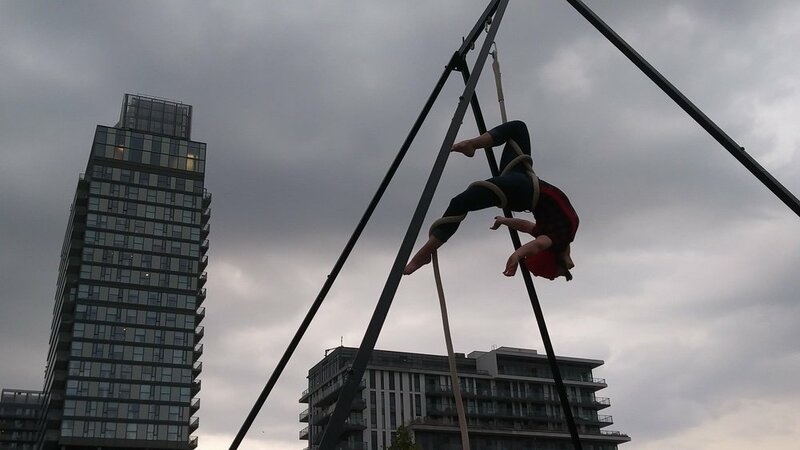 Performed by a cast of two, the show features comedy, ax juggling, gigantic muscles, and daring aerial rope feats. This 25-minute family-friendly interactive show can be performed on the street as part of your busker festival or event, or in a theatre with full tech. 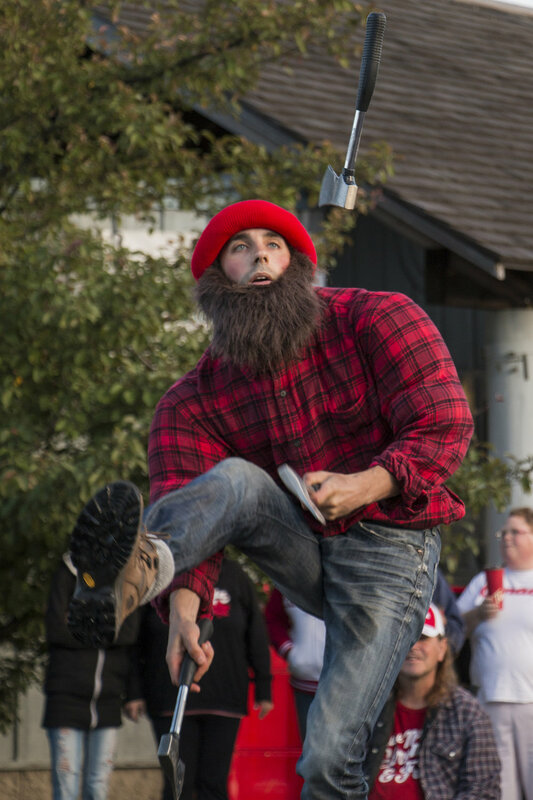 The Lumberjack Show has toured all across Ontario since 2016, and continues to tour to festivals and events. Select performances include: 2018 Dundas International Buskerfest, John Galt Day Festivities in Guelph, Gravenhurst Opera House, University of Windsor Alumni Weekend, Carrotfest 2018, Turtlefest 2018, Canada Day Celebrations (Collingwood, Midland, Parry Sound), Oakville’s Midnight Madness, and more.